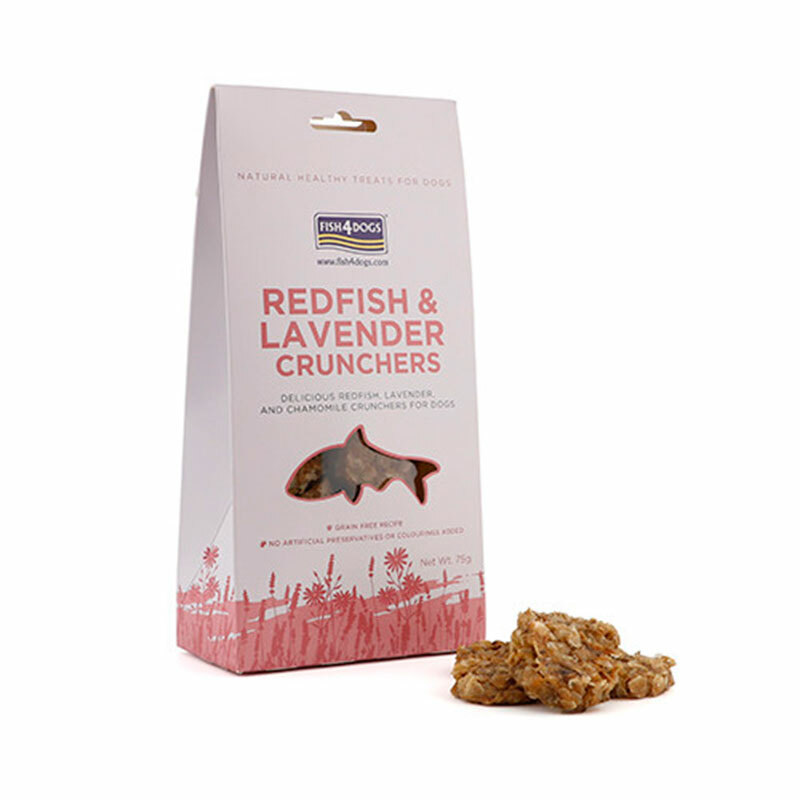 Fish crackers with lavender and camomile, are light and easy to bite. Rich and crunchy with Omega 3. Free of cereals and grains, without added preservatives or colorants. Composition: Redfish (Sebastes Marinus) 96%, Lavender 2%, Chamomile 1%. Additives (per kg): Antioxidants (stabilized with rosemary and extracts rich in tocopherol) 1gr. Analytical components: crude protein 68%, crude ash 17.5%, crude oils 7%, crude fibers 1%.